In 1979 a group geologists exploring the Kimberly region in Western Australia discovered what is now The Argyle Diamond Mine. 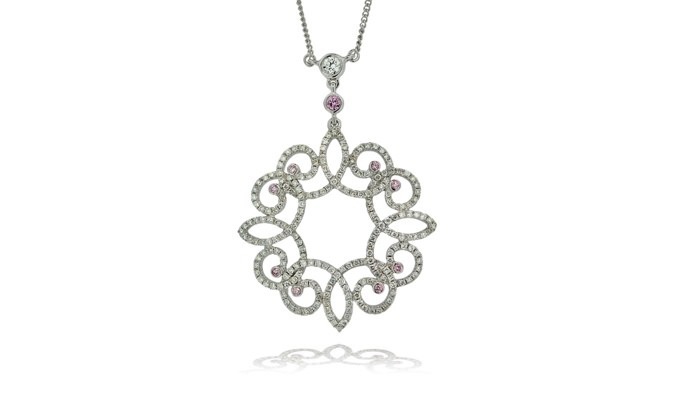 For the last 3 centuries Pink Diamonds have been regarded as some of the worlds most sought after gems. 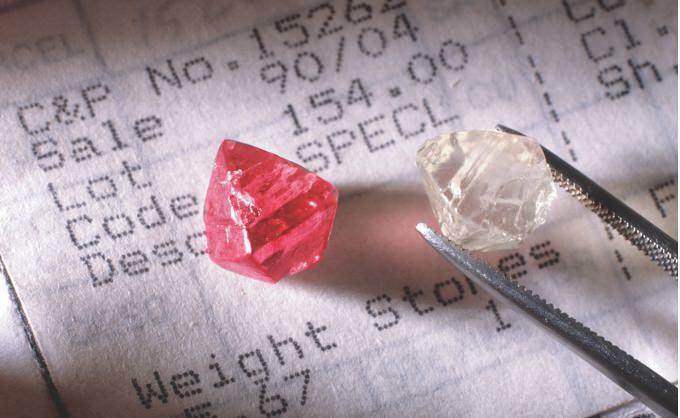 Due to their rarity, Pink Diamonds typically command prices far in excess of white diamonds. To put this rarity into perspective, in 2009 approximately 160 million carats of rough diamonds were produced world wide and of these, only 30,000 carats were rough pink diamonds giving a percentage of just 0.03% of global diamond production. Today, the Argyle Diamond mine produces virtually the entire global supply of Pink diamonds as well as unique shades of Blue/Violet diamonds. In 1984 a Tender process was established which has been a significant contributor to establishing the profile of Argyle Pink Diamonds. A small number of invited clients are given viewings on a selection of the most exceptional Pink Diamonds produced each year, known as the Argyle Pink Diamond Tender stones, and then lodge sealed bids in an effort to secure these exclusive diamonds. With 6 years worth of mining left at the Argyle Diamond mine there are approximately 350 Tender quality Pink Diamonds left to be unearthed. The 2013 Argyle Signature Tender showcased 64 Red, Pink and Blue Diamonds ranging from 0.20ct to 3.02ct. There were a record number of bids over $1 Million Dollars as well as bids over $2 Million Dollars for a single stone. Two significant records were for a 1.56ct Fancy Red Diamond achieving the highest price per carat ever paid for an Argyle Diamond and a 2.51ct Fancy Deep Pink Diamond achieving the highest price paid for a single Argyle Pink Diamond. For every 1 Million carats mined at Argyle less than 1 carat will be suitable for Tender. The chances of any future mine discovery replicating the unique properties of the Argyle Diamond mine is extremely remote. Currently there are no other Pink Diamond mines or deposits, and even if another deposit or pink diamond-bearing ore is discovered, it takes an average of 10 years for a mine to proceed from discovery to production. Argyle Pink Diamond Tender stones have appreciated exponentially over the last 25 years due to increasing demand for a truly scarce product that is providing the catalyst for excellent growth in investment demand. As global financial markets show volatility and instability, investors and collectors around the world are taking a closer look at rare, hard assets to diversify their portfolio. Argyle Pink Diamonds fulfil these criteria and as supply dwindles, international collectors and investors continue to acquire these rare gems. Over the 25 years that the Argyle Diamond mine has been producing rare Pink Diamonds there have been numerous economic cycles that have influenced most investment vehicles. Throughout this time Argyle Pink Diamonds have retained their value while Tender prices for Argyle Pink Diamonds have outperformed major equity indices. 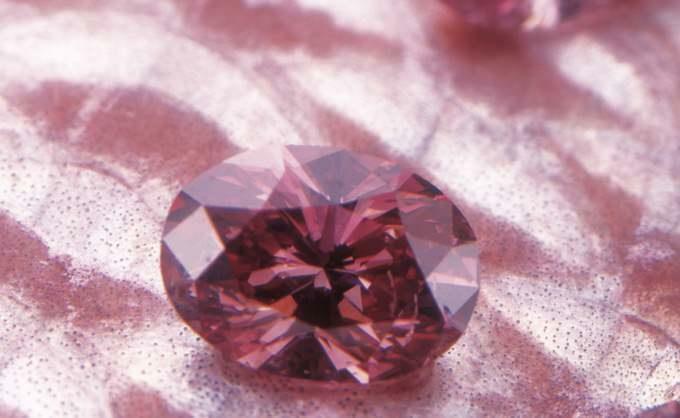 Investment in Pink Diamonds can reap considerable rewards. As the global recession of late 2008 was materialising, Rio Tinto received the highest price ever paid for a Pink Diamond from the Argyle Diamond mine. A year later a five carat vivid Pink Diamond achieved US$10.7 million at auction. The following year a 24.78ct sold for US$46.2 million and as this article is being written, this week saw a 59.6ct Fancy Vivid Pink sell for US$83.2 million, a world auction record for any diamond. Prices at jewellery auctions have continued to follow a similar pattern since 2010, with buyers consistently willing to pay well above the pre estimate prices to secure Pink Diamonds. And so, as time passes, each Argyle Pink Diamond becomes more collectable, highly sought after and valuable, with an enduring legacy that goes beyond its investment potential. So, do these beautiful gems sit in a box in the safe where they are viewed and enjoyed by their owners or, are they mounted into unique bespoke hand made pieces of jewellery suited to each gem so they can be admired by many? For those interested please contact Nick on 07 3012 8860.